Lucas Farmer presents summer research from Belize! 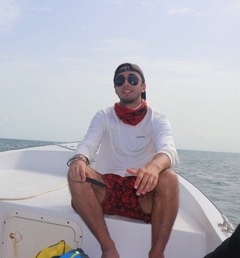 Off the coast of Belize, Lucas worked with a team of international community scholars apart of Citizen Science GIS. Him and his team collected high resolution imagery to update and replace satellite imagery of mapped island. Interviews were conducted to bring context to our imagery by gathering real life knowledge and experience about the islands over time. From this data they intend to develop multiple types of deliverable (story maps, postcards, calendars, maps, prints of imagery) to be added into a large open data set available to the public and our community partners. Great stuff and more to come - Have a great weekend!